A core is a cylindrical sample cut from strata using a tool called a core barrel. When the core barrel is brought to the surface to recover the core, this is called conventional coring as against wireline coring when the core is retrieved through the drill rods without removing the core barrel. Why are core samples taken? Rotary coring provides essential information for exploration and evaluation of ground strata providing an undisturbed near perfect sample of the ground in areas of interest to the client. When would you take a core sample using conventional coring methods? 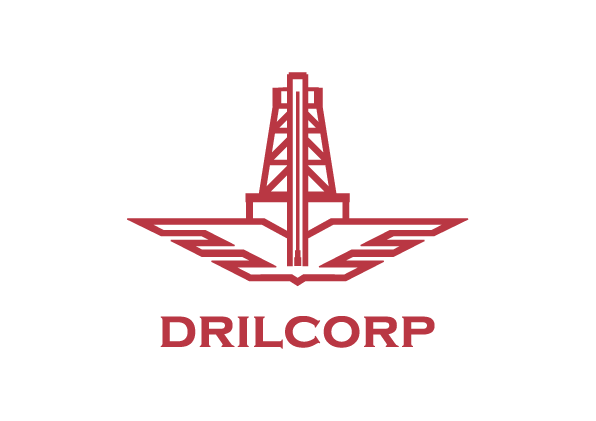 Coring is more expensive than destructive drilling so it is only used when needed. Conventional coring is generally used on shallow depths. Geotechnical Exploration Services were asked by a client to drill fully cored exploration boreholes as they required a concise understanding of the strata and, in particular, coal seams in this specific area of the Ayrshire Coalfields. The boreholes were shallow 30m maximum so the most cost effective way of carrying out the project was to use a conventional coring system with air-mist flush. Air-mist was used as the water supply on the site was scarce and the rock was known to be badly broken. A 412 core barrel with a PDC core bit was chosen for the work and this produced a perfect 74.6mm core sample with 100% core recovery. 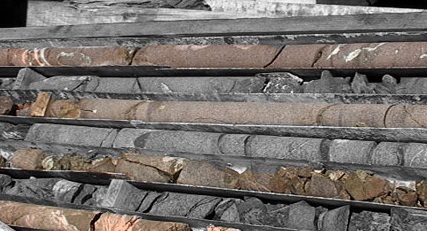 What type of client needs core samples? This type of work is regularly requested by companies involved in infrastructure projects such as construction, pile design, tunnelling and mining interest (mineral exploration) Government bodies such as BGS, EA and water authorities often require quality core samples. Is it difficult to take core samples? To carry out a successful core run and obtain a good quality core sample many factors need to be considered. First of all information on the strata to be cored needs to be obtained. Once this information is gathered an optimum coring system can be decided upon. Core barrels come in a variety of sizes, generally ranging from 75.7mm to 146.3mm which produce a core size between 47.7mm to 115.7mm. Smaller or larger sizes can be obtained for more specialist projects. Core bits come in a wide variety ranging from Tungsten tip and PDC for the softer formations through to diamond impregnated for the hardest formations. There are designs to work with water or air mist flush medium. Diamond core bits come with a serial code which allows the driller to identify the different strengths. A reputable bit supplier will give invaluable advice as to the correct bit to select for a known formation to be drilled. Scott Burt GES commented “Coring is an art and is not something you can learn overnight. There are many key factors in carrying out a successful core run. Rotation speed, torque pressure, weight on bit, bit selection and flush pressures all have a key role in producing a Class A core sample. These key factors are used in different ways depending on ground formation. All this considered it is still the driller whose reactions to ground changes within the core run that really helps towards a good quality 100% recovered core.